Many participants requested another day of Image Workshop to equip themselves with knowledge to face the challenging business world.. Image Workshop For MAA Takaful at IOI Palm Garden Resort Putrajaya, June 2010. Explaining on the proper usage of accessories to the 200 top sales agents of MAA Takaful. The workshop was attended by 200 MAA Takaful top sales agents. Conducting the Color Analysis on one of the participants. Image Workshop For MAA Takaful June 2010 . Busy scene the Adamaya booth outside the workshop hall. Books and products were sold out! With Peter Post from Emily Post Institute ,Burlington, Vermont, USA during his workshop on ' Etiquette in the 21st Century and How To Combat Incivility'. With Wendy Buchanan from Ontario Canada during her workshop on Choosing Eyewear To Frame Your Image'. With Brenda Kinsel from Sonoma , California USA during her workshop on 'How To Gain and Retain Clients For Life'. This elegant 'Audrey Hepburn' inspired attire is by my dear friend, a famous fashion designer in Kuala Lumpur- Ashley from Kapas Couture. Thanks Ashley you're the best! With another GLAM friend , singer Nurul. 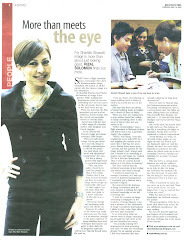 Appreciation given by Wirda Adnan ,Chief Editor of GLAM magazine. 16 Dec 2009 at Royale Chulan Hotel Kuala Lumpur. Her words of wisdom to me, ' If you have lost everything ,only a strong willpower can help you survive..'. And that is my strongest asset, my willpower. Would Love To Be Known As The Woman Of Substance. A good friend said to me 'It's Not About Winning But It's About Being Recognized...'. Me with one of the judges that night The Iron Lady Datuk Maznah Hamid. She gave me a book mark that says, ' See You At The Top'. Good Looking Creatures Of The Earth. Had To Answer Some Questions On Business and Human Interest. Wanita Ikon 2007 Finals - Me One Of The 7 Finalist Nominated Out Of 1000 Participants. Great Feeling To Be Among The Best! Colours has a psychological effect on human beings and can create a mood. 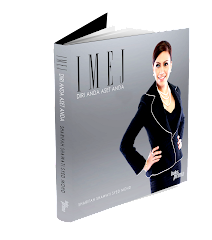 my latest invention the book,'Image-You Are Your Best Asset'. Launched on the 18th April, Pwtc. Taken at my booth during my participation in the Malaysian Association of Professional Speakers Convention. I was given the opportunity by the Maps President Datuk Maznah Hamid to do a showcase on Image Building topic together with other local and international speakers in various fields. Tan Sri Tony Fernandes was speaking on 'Survival In Turbulent Times'. It was a great honour to have him visited my booth and gave this 'thumbs up' testimonial. Yes I was carried away by its beauty and sophistication and also the hype that this is a 'must have' item in every fashionista's wardrobe that I sacrificed comfort for style. I loved it and was obsessed with it untill I waited for the best occasion to wear it. The day came and i put them on to match my red number for a cocktail party..then the minute I stood up my back hurt and after a few steps to the door tripped and fell!!! Oopps! So much for being stylish & glamourous! I spent almost 3K for this devilish thing. And now I decided to just keep it for show untill I get some good offers from anyone who wants to own it. After all it's a sin not to have a pair of Manolos in your wardrobe! How shallow is that hahahaha..!